A recent UKSA graduate has had success within the maritime industry after spotting a gap in the market. Edward Thomas took his Officer of the Watch and MCA Approved Engine Course at UKSA recently after five years at sea as bosun on a number of superyachts. He established Gym Marine after noticing a lack of a dedicated supplier for yachts – he had found there always seemed to be trouble with the gym kit onboard. Now his company has been awarded an exclusive contract to outfit BP’s fleet of oil and gas carriers with onboard gyms, helping BP to execute its ongoing commitment to crew welfare. With strong roots in the commercial fitness industry, Gym Marine is expanding after securing a number of global supply contracts with offshore procurement firms and drilling platforms earlier this year. The BP contract award is the final whistle blast signalling the company’s official arrival into the commercial shipping market. As an exclusive supplier, Gym Marine will be designing and installing bespoke gyms on BP’s new-build oil and gas carriers in addition to the refurbishment of gyms in its existing fleet. Given the space restraints and unique demands of life at sea, BP was wise to choose a specialist company for the installation and refurbishment of its gyms. Edward explained: “We have two areas of expertise here at Gym Marine: a pedigree in fitness coupled with proven experience in the maritime field. BP chose GCM because we are able to expertly combine those skills to create unique and cost-effective solutions for companies operating in the offshore and commercial shipping industries. Under International Crew Welfare Regulations, shipping companies like BP are obliged to provide recreational facilities for their seafaring workforce. A dedicated exercise space is an important part of this, but an onboard gym serves a much deeper purpose too. It is well proven that regular exercise can help to maintain physical and psychological condition, promote good sleep, mitigate fatigue and also prevent work-related injuries. For seafarers, a dedicated gym provides essential access to an active lifestyle, allowing them to maintain good health despite being miles away from shore. The resulting benefits, particularly with regard to improved alertness and performance, are a crucial safety factor at sea. Edward, originally from Bath, is also outfitting some high profile new builds in the Northern European yards, and has supplied kit to many existing big name boats. 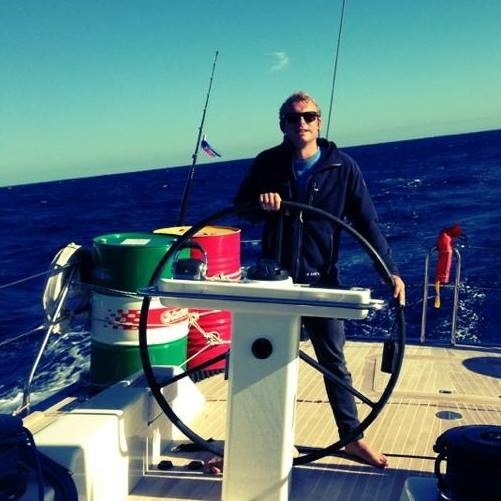 His company also runs a crew recruitment service for crew looking to be personal trainers onboard yachts.